An excellent education is a worthwhile investment that will pay off many times over throughout life. 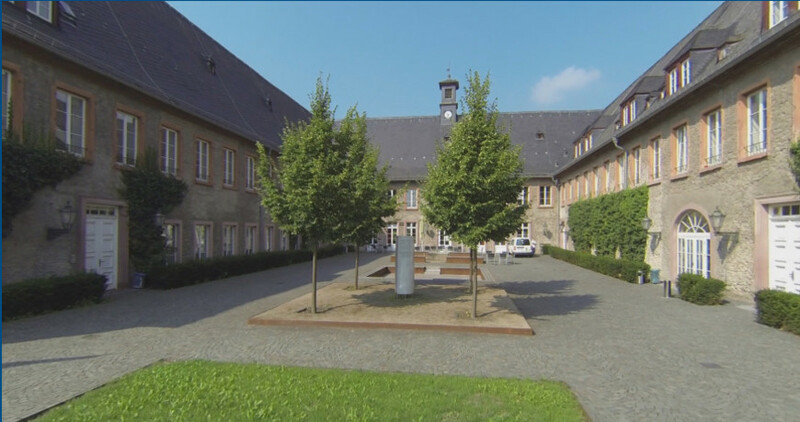 Since its inception in 1971 as the first private higher education institution for business studies in Germany, EBS Business School has stood for academic excellence teaching and research, for innovation and entrepreneurial spirit. You don’t have time to visit our campus? Then register now for our Online Info Session! With this Mathematics Preparation Course you will get intensively prepared for the Bachelor Programme at EBS Universität. For the second time, the EBS Onboarding Project will start at the beginning of the Bachelor Programme. Develop a case study on the topic City of the Future from a multidisciplinary perspective. Prof. Dr. Julia Hartmann participated in the future laboratory Fair Globalisation of the party Bündnis 90 Die Grünen in the Paul-Löbe-Haus of the German Bundestag in Berlin on 20 March 2019. OPTIMAL CONDITIONS - EBS allowed me the freedom to pursue self-development, which goes far beyond course content that other universities are certainly able to teach just as well. The combination of internationality, language skills, direct links to business practice and, above all, the opportunity to take the initiative and make a difference gave me the edge over my peers at the start of my professional career. It was like a kick-start. And that’s what it’s all about: To be ahead of the competition at that key point in time! And it goes without saying that the alumni network is also invaluable. The opportunities it offers, both in professional and personal terms, are endless and hugely beneficial.